Hannam Health Yoga classes taken by the highly experienced Steph Leitner are inclusive, approachable and enjoyable. They are aimed at improving muscle strength and tone, flexibility, posture, vitality and fostering relaxation and enjoyment through moving the body in a flowing and mindful way. All are welcome, from complete novice through to the experienced yogi. Modifications are provided throughout the class to ensure that people of all ages and abilities can challenge and enjoy themselves in a safe class environment. Yoga is non-competitive and always practiced and progressed at a level that the individual is comfortable with. 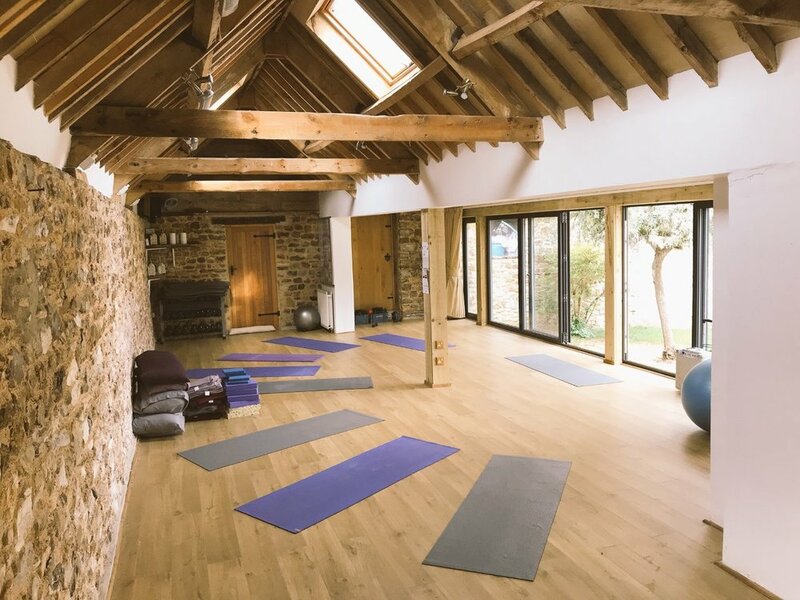 Join us for your Yoga practice in the ideal setting of our custom-designed glass fronted rural studio space, where you can switch off from the outside world and switch on to your mind and body. Download this Yoga Nidra Relaxation recording from Hannam Health Pregnancy Yoga teacher, Dr Kim de Vocht, in mp3 for a 15 minute 'time out' to help reduce stress and anxiety, and to promote better sleep.